Dainese is one of the most respected motorcycle clothing brands in the world, renowned for sponsoring experienced and well-known riders such as Valentino Rossi and Guy Martin. As the UK’s longest standing official stockist of Dainese motorcycle gear, the Bike Stop team can confidently say that we have one of the largest stocks of Dainese in the UK in one shop. Dainese equipment utilises the most innovative technology, such as its D-Air suits which have integrated airbags in the clothing that inflate when the suit or jacket detects a crash, deeming it as one of the most protective pieces of kit on the market. 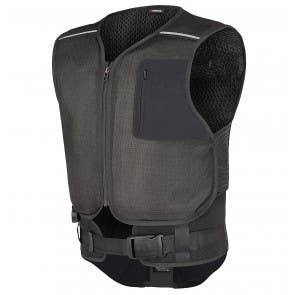 If you’re looking for something a little simpler, all Dainese leather and textile gear has armour in it plus they offer a complete range of armour that can be purchased separately. Dainese offer a large range of clothing with the best combination of authentic Italian style, comfort and of course safety. If you want a product that is going to be fashionable, long lasting and accommodating to your needs - there is going to be something in our Dainese range that is right for you. D-air is the ultimate product for motorcycle rider and pillion protection. This is Dainese's cutting edge air bag technology, designed with track and on-road safety in mind. Dainese Ladies' clothing is designed and constructed to fit snuggly to a variety of female figures, with flattering aesthetics and assured Dainese quality. We have an entire showroom dedicated to a carefully selected range of ladies clothing. 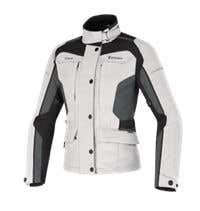 Jackets from Dainese are constructed using the highest quality material that is abrasion resistant and will often have protection in key areas, such as sliders or composite protectors. Dainese trousers are crafted from high quality leather or textile that are both abrasion resistant and comfortable all in one. These trousers usually have armour included on the knees and shins to give protection where it is needed. Dainese One Piece suits are some of the best suits available on the market, usually made of full cowhide leather. 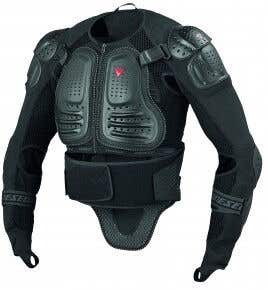 We also offer the D-Air range with its innovative patented airbag technology that is the most protective motorcyvle clothing available. Dainese Two Piece suits are available in leather and textile, offering great protection and comfort at the same time. They are stylish, safe and made of high quality materials. 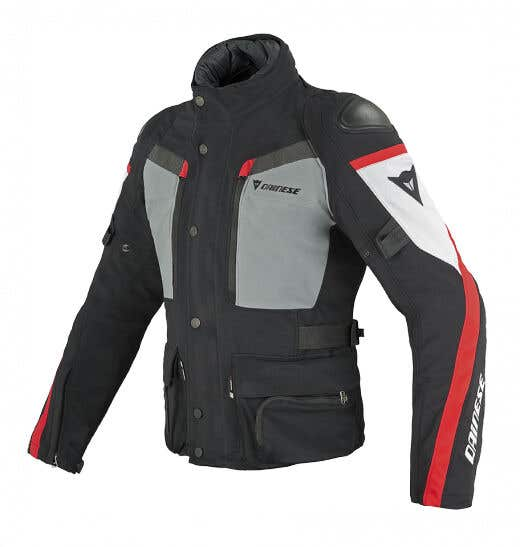 As one of the largest stockists of Dainese equipment in the UK we have a huge range of their equipment available. 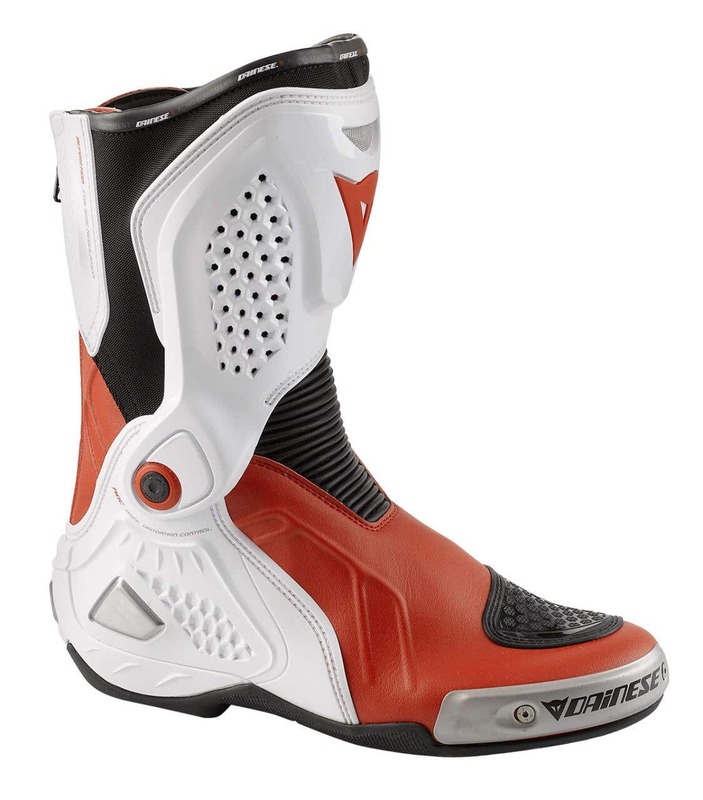 Dainese boots come in both leather and textile, along with styling varieties, including the In that is exclusive to Dainese and Out models . We also stock Dainese's urban range, such as their more casual Street Biker boots that look great on and off the bike, with an edgy style. 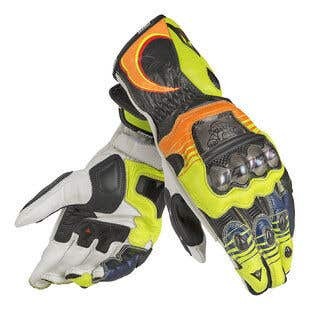 Dainese produce gloves well suited to all styles of riding, with each glove specialising in different areas - however the underlying design of all of the gloves is protection and safety for the rider, as Dainese understand how important hand protection is. 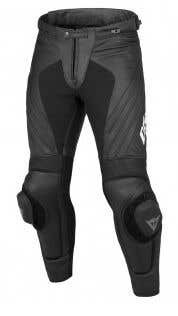 Dainese always put safety first and this is particularly clear in the high standard of armour they produce. Ranging from inserts to wearable pieces, these products have all been made to offer you the best protection, whatever your requirements. Dainese is an innovative brand that in addition to featuring very high quality biking gear, also provides made to measure leathers to suit every individual looking for quality motorcycle gear. Bike Stop are proud to stock these innovative, stylish and class leading products. If you need more information about the Dainese collection we have available or can get, don’t hesitate to contact us. We can provide you with sizing and style information to help you suit up, hassle free.